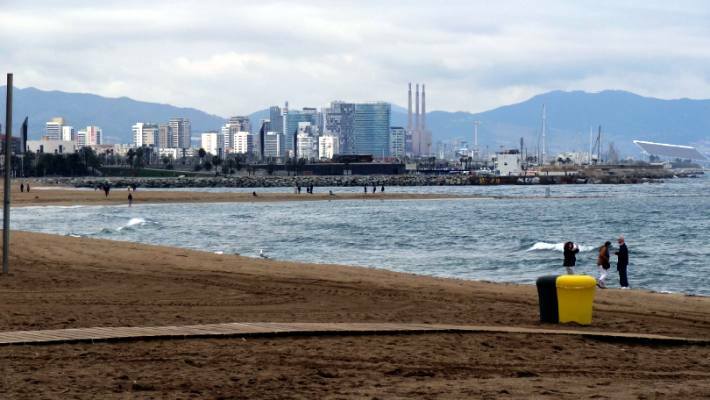 Barcelona is the typical case of a city that is said to have « turned its back to the sea ». In fact, as almost always, in the mental map of its inhabitants the sea was a marginal place when related to other more valued spaces. 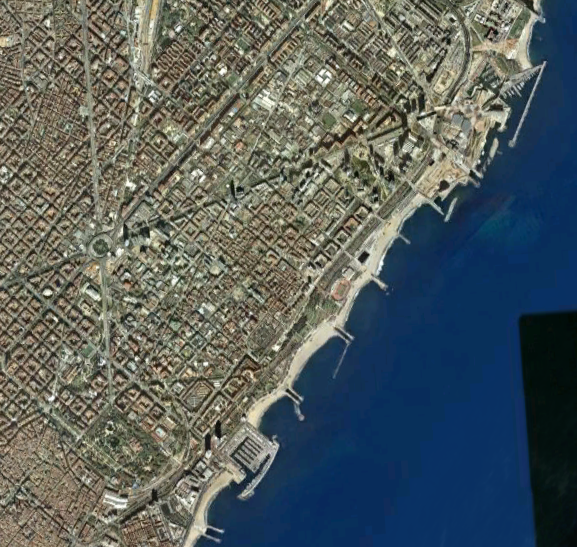 The old city of Barcelona is constrained by the presence to the South of the Montjuic mountain, whose base is right on the shore; the port operations have historically grown towards that area, and urban extensions would have been unfeasible due to the slopes. On the opposite side, the North coast is quite flat, without noticeable obstacles up to the Besos river. When Cerdá conceives his ensanche in 1859 on the plains surrounding the old city on the north and west, the northern seashore is integrated. The ensanche takes about a century to cover, but this happens in an unbalanced way; while the trace is quite respected (albeit highly densified) on the area closest to the old city, in the northern areas it is modified and more often industrial than residential. 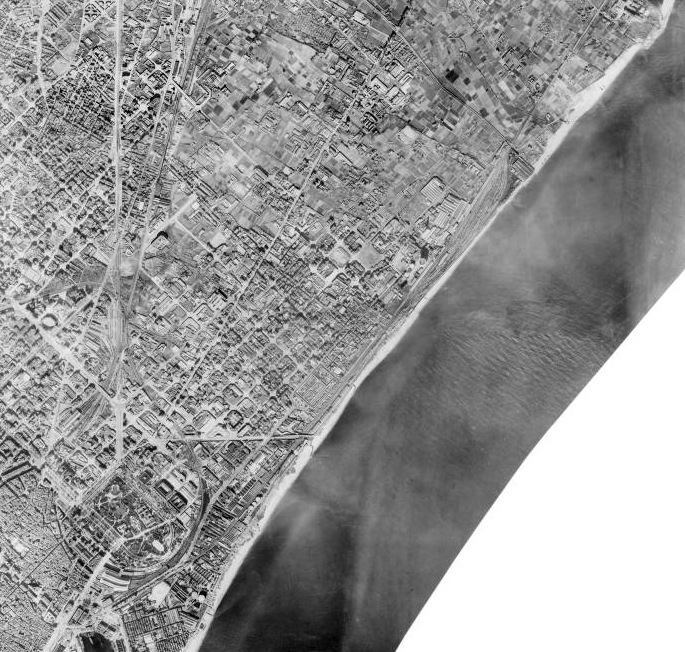 The main lines of the grid can also be seen ther, but the continuity of the pattern is compromised in areas, the plaza de las Glorias does not reach the potential civic center status devised by Cerdá and the beachs are mere marginal areas. Two events change the situation: the 1992 Olympics deploy in the area the Olympic port and the Olympic village, taking advantage of a previous holistic vision of the city, and the Diagonal finally reaches the seashore by the Besos mouth, dynamised by the forum 2004. These events allow the creation of a string of beaches with high quality parks on their back; this array of public spaces is separated from a new urban tissue by the ronda litoral, a freeway on a lower level than the streets, with a reasonable pedestrian permeability. The seashore is quite gentrified in the process.